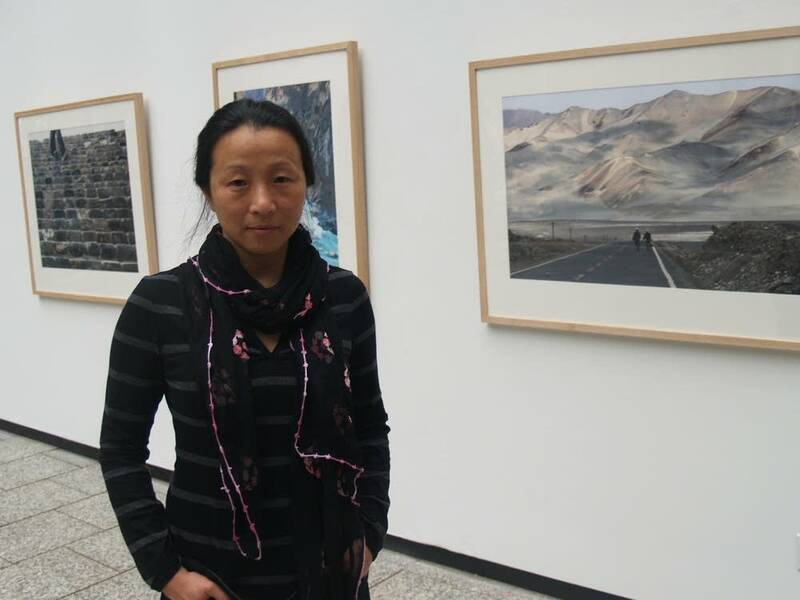 Ask Wang Ping why she thinks she's so prolific and she uses two terms: "workhorse" and "first daughter." Growing up in China, she witnessed the sweeping changes of the cultural revolution as they reached her community when she was seven or eight. The authorities exiled her father and imprisoned her mother, leaving Wang as head of the family, looking after two younger sisters. "There was civil war and there was no food," she says. "I had to walk five or seven miles every morning to try to find food for the family with bullets flying around me. So that's how I knew what life was. It was the only kind of life I had." The schools closed too. Wang was desperate to learn. The government banned all books except the works of Chairman Mao, but she began reading the books passed around illegally. She learned English through lessons on the radio. Despite having only a second grade formal education, when she was of college age she talked her way into Beijing University to study English literature. She then won a place to do a masters at Long Island University in New York. She never intended to write fiction until the day she walked into the wrong class, and found herself listening to a lecture delivered by a wild looking man. "He was wearing two shirts and both were misbuttoned. And crazy long hair, graying, flying hair," she smiles. It turned out it was a creative writing class. She completed the first assignment and did so well that she decided to do the second. "And the professor just wrote, 'You should start writing a novel,'" Wang says. "And this was like enlightenment to me. Like lightning hit me. I said, 'I could write.' And suddenly it occurred to me that I have so many stories inside me it just all poured out." Soon after she was asked to translate for Allen Ginsberg as he led a group of Chinese poets around the U.S. That's when Wang Ping realized she could write poetry too. The stories and the poems have been pouring out ever since. Wang's new collection, "The Last Communist Virgin," weaves stories of China during the cultural revolution with those of Chinese immigrants struggling to find their place in America. They are deceptively simple stories of ordinary people dealing with tough times. The tales are sensual and sometimes sad, but Wang's characters have backbones of steel. She also writes about the Three Gorges area, the place where her father was exiled, now flooded as part of a huge, and controversial, hydroelectric dam. "I have, like, many, many dictionaries. I have two desks in my office, one in front and one in the back, and the back is all dictionaries of different kinds. And I constantly turn and grab a dictionary and look. Chinese-English, English-Chinese, English-English, Chinese-Chinese. Just to look into the roots of every word I use," she says. Soon she'll turn to other projects. She points out that under the Chinese zodiac she is a rooster, and under the western she's a Leo. "So these two in combination gave me pioneer spirit. I like to explore, I'm extremely curious, I have a huge appetite and I wish I had 72 hours in a day for me to do all the kind of things I want," she laughs. As a writer Wang says the thing she wants to do, is simply to be honest.